OK, I thought I knew a lot about rapid pathogen detection and nanotechnology. Turns out a bunch of 4th and 5th graders are way ahead of the curve. I just picked this story up from the West Salem Blog. A handful of young Lego-tinkering sprouts from West Salem earned some plaudits for their work recently. Rebel Alliance of West Salem earned recognition and an award for its research during the 11th annual Intel Oregon FIRST LEGO League Championship Tournaments, presented by Rockwell Collins and held at Liberty High School in Hillsboro (click on their picture at the left). The West Salem contingent was recognized for its impressive research project focused on rapid pathogen detection on berries using nanotechnology, according to Oregon University Systems Communications Associate Endi Hartigan. “Our team’s project focused on rapid pathogen detection on berries during processing on the assembly line,” Rebel Alliance spokeswoman Cindy Stutz concurred. “Their device, the B.I.O.D. (Bacteria In Oxygen Detector) uses nanocantilevers which would sense the bacteria in the air surrounding the berries. “They won the first place award for “Project Research,” which recognizes the team who utilizes diverse resources to develop in-depth and comprehensive understanding of the problem they identified,” Stutz added. Four Rebel Alliance team members are 4th graders attending Chapman Hill Elementary: Zachary Stutz, Eric Frazer, Spencer Haley, Will Hahn. The fifth Rebel is Jason May, a Brush College Elementary 5th grader. OUS, which coordinates the event, announced that the tournaments brought together 118 teams from around Oregon and SW Washington which qualified for the event via earlier tournaments held last December. Each team of 9 to 14 year olds construct and program a LEGO robot to compete on various robot missions, presented research on this year’s theme, “food safety,” and demonstrated their work to three panel judges. Overall first-place Intel Oregon Champion’s Awards went to Lego Ninja Warriors from Hillsboro on the first day and Team AFOOFA from the Washington County 4-H on the second day. Our January 2012 Newsletter has just been emailed to our subscribers. The newsletter provides regular updates to our News, Calendar of Events, Blog, References, Product Matrix and RMM tutorial pages. The newsletter is FREE to subscribe to and is sent directly to the email address of your choice. For the past two years, I have published a rapid micro methods series in each issue of European Pharmaceutical Review (EPR), with topics ranging from technology and scientific reviews, regulatory acceptance and validation strategies. In the 5th issue of 2011, EPR published a 3-article supplement that focused on RMMs, with papers from FDA's Bryan Riley, Baxter's Youwen Pan, and one of my regular series articles, this time focusing on nucleic acid and gene amplification technologies. Today, I would like to provide an overview of Dr. Riley's paper. A Regulators View of Rapid Microbiology Methods. Bryan S. Riley, Ph.D. Senior Review Microbiologist, CDER, FDA. European Pharmaceutical Review. 2011: 16(5), 59-61. Dr. Riley offers a powerful viewpoint on RMMs from the FDA microbiologist's perspective. Dr. Riley writes that there are numerous RMMs that are based on the growth of microorganisms as well as faster methods that do not rely on growth (and in some cases, results in real-time). He discusses various phases of rapid method implementation: technology selection, validation and regulatory communication and filing. The first phase of selecting a RMM is to determine your user requirements. These can include time to result, whether a qualitative or quantitative methods is required, sensitivity and sample handling. It is critical to fully understand what you need the rapdi method to accomplish. Once you have selected the rapid method, it must be validated for its intended use. Users can follow the validation guidance as provided in PDA Technical Report #33, USP chapter 1223 and Ph. Eur. chapter 5.1.6. Each of these documents describes the basics for validation, including validation parameters and acceptance criteria that might be appropriate for each parameter. And while it is important that each validation parameter be addressed, the user may not need to perform all of the work themselves. For example, ruggedness and robustness are better suited to be performed by the RMM vendor. However, the vendor can also provide additional validation test data, either by providing the data directly to the end user or by submitting the data to the FDA within a Drug Master File (DMF). In the latter, the end user would have to provide test data not covered in the DMF, as well as product-specific data associated with the RMM. One of the validation parameters that has generated much discussion within the industry is Specificity. Here, the RMM should detect a wide range of microorganisms. but because it is unrealistic to expect the RMM to detect every possible microorganism, a combination approach is typically utilized. First, a panel of pharmacopoeia organisms can be used (e.g., see the challenge organisms required for method suitability tests in USP <71> and Ph. Eur. 2.1.16). Here, a representative of each major group of microorganisms would be covered, such as Gram positive and negative bacteria, spore formers, anaerobes, yeast and mold. Next, the user should use environmental isolates, or organisms that would pose a challenge to the RMM (e.g., slow growing organisms such as P. acnes when validating a growth-based RMM). Another validation parameter that has caused much discussion, especially when validating a RMM for sterility testing, is the Limit of Detection (LOD). Because the conventional sterility test is, in theory, supposed to detect a single cell, Dr. Riley states that it stands to reason that the validation of a rapid sterility test also demonstrates that the proposed method has a LOD at, or very near, one microbial cell. However, there are significant technical difficulties in reproducibly inoculating a RMM system with a single, viable microbial cell. Therefore, end users have applied several approaches to deal with this issue, and these approaches have been accepted by the regulatory agencies. For example, a number of users have used serial dilutions of microbial suspensions, where the dilutions are taken down to less than one CFU in the test sample. The sample is then evaluated in the RMM. In some cases, the sample is tested in parallel by both methods, and the results from the RMM is compared with the results from the compendial method to determine if they are equivalent. In other examples, the RMM results can be used to determine a most probably limit of detection. Even with all of the guidance for validating rapid methods, and the fact that the implementation of RMMs has slowly increased over the last few years, Dr. Riley explains that RMM usage is still the exception rather than the norm. The industry continues to question whether regulatory agencies accept RMMs and what they need to do to validate these methods. For these reasons, Dr. Riley recommends that firms communicate with the relevant regulatory authorities during the planing phases of RMM implementation to discuss validation strategies and regulatory notification requirements. There are also regulatory filing mechanisms that can simplify the RMM implementation process. For example, the FDA allows the use of a Comparability Protocol (CP), which is a detailed written plan that demonstrates that a post approval change does not adversely affect product quality. In terms of RMMs, the CP is a validation protocol to demonstrate that the RMM is suitable for its intended use. The CP must be approved before it is used; therefore, it must be part of an original FDA product submission (e.g., NDA) or a prior approval supplement. Dr. Riley also explains the advantages of using a CP. First, because the CP is reviewed by the FDA, deficiencies in the validation plan can be corrected prior to performing the studies, eliminating the need to repeat some or all of the testing. Next, a firm that follows the validation studies and meets the acceptance criteria as specified in the CP, a reduced reporting category can be used to notify the FDA that the method is being implemented (e.g., a Changes Being Effected [CBE-0]). Finally, the same CP can be used to subsequently validate the same RMM for additional products or samples, as long as the CP acceptance criteria are met. In this case, the same approved reduced reporting notification method can be used. Dr. Riley concludes that as our understanding of RMMs continues to grow, the process of selecting, validating and gaining approval for RMMs should become easier and faster. To read the full article, please visit the RMM Supplement of the European Pharmaceutical Review. Genzyme scientists, John Duguid, Edward Balkovic and Gary C. du Moulin, recently provided a comprehensive review of where rapid microbiological methods are today (see American Pharmaceutical Review, 7(14), 18-25, 2011). They explain that microbiological testing is slowly evolving as traditional methods with microorganism detection requiring days or weeks to yield new technologies, collectively known as rapid microbiological methods, or RMMs, which may detect the presence of a single organism within hours. The authors discussed the advantages, limitations, encouragements and barriers associated with the implementation of RMMs. For example the limitations of conventional microbiological testing have been well known. These include small test sample volumes, prolonged incubation periods, incompatibilities with membrane filtration and ambiguity associated with the use of turbidity as a detection endpoint. The authors then discussed encouragement from the regulatory agencies. In fact, they explained that regulators have never discouraged the pharmaceutical industry from exploring rapid methods as an alternative to traditional methodologies. However, there continued to be barriers to change. For example, comments made by the FDA during the USP Science and Standard Symposium suggested that there was a general reluctance of the industry to develop new methods. Specifically, it is thought that management may not readily support changes to existing applications because the microbiology methods that have been submitted and approved by the FDA continue to work, so there is no incentive to implement new methods. Furthermore, there is fear of the unknown, including the fear that happens when RMMs with lower detection limits uncover microbiological issues that less robust methods cannot detect. There are also concerns that the cost of validation may be too high and there is little return on investment or the payback period is too long. Finally, the lack of microbiological expertise can hinder the development of appropriate comparability studies that can establish equivalency of the rapid method with the official or conventional method. Next, the authors discussed a variety of rapid method technologies and how choosing the appropriate technology for the desired application is critical to success. An brief overview of currently available technologies included impedance microbiology, CO2 detection, headspace pressure measurement, nucleic acid technologies, flow cyometry, endotoxin detection, ATP bioluminescence, direct laser scanning, auto fluorescence, and genotypic, phenotypic and mass spectrometry for the rapid identification of microorganisms. The authors finished their article with a review of what is needed to develop a robust validation strategy, and how to demonstrate that a rapid method is appropriately and scientifically qualified, and shown to be equivalent or better than what is currently being used. They also concluded that the evolution of microbiological testing from classical procedures to more rapid methods will place new and unprecedented amounts of data into the hands of the microbiologist. The industry can then apply this information to aid in prompt decision-making in support of real-time release or perform timely root cause analysis for failure investigations, thus improving the safety of pharmaceutical products. The full article may be read by visiting American Pharmaceutical Review. Nabsys, Inc. is pioneering the development of a novel technology with broad applicability for DNA analysis, called Positional Sequencing. The Nabsys platform uses solid-state nanodetectors to analyze single DNA molecules by electronic detection, revealing both location and identity of DNA sequences over long distances. 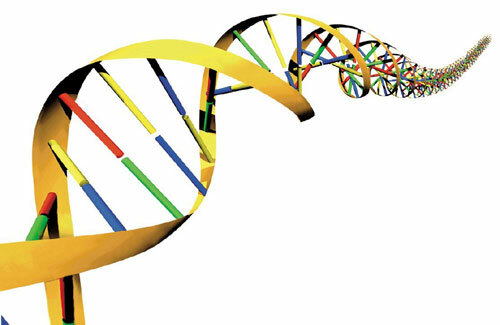 Knowledge of the position of each DNA sequence greatly facilitates sequence assembly. Positional sequencing is inherently targeted, permitting focused analysis of particular regions of the genome varying in size from that of a single gene up to and including the entire genome. Nabsys's positional sequencing platform is designed to set new standards for accuracy, speed and scalability of DNA sequence analysis. Major applications include analysis of genome structural variation, genome mapping, and both targeted and whole genome sequencing. Nabsys plans to develop a portfolio of tools based on positional sequencing, with a special focus on opportunities in cancer genomics research and diagnostics. The company has also initiated its transition from technology development to product commercialization by announcing the appointment of Stan Rose, Ph.D., as the company's first chief commercial officer. Nabsys is also announcing that Jeffrey Sklar, M.D., Ph.D., has agreed to join the company's scientific advisory board. "These two appointments represent a significant milestone in our growth as a company and the implementation of our strategic vision," said Barrett Bready, M.D., president, CEO and director of Nabsys. "Stan has been deeply involved with Nabsys as a director for the company over the last two years. Stan's expanded involvement, combined with his experience in transforming innovative life science technologies into rapidly growing businesses, will be a great asset to Nabsys as we shift our focus towards commercial development. Dr. Sklar is a leading expert in the field of clinical molecular oncology, and his expertise will help guide the company as it plans how to best address diagnostic opportunities for positional sequencing." Dr. Rose has over 20 years of experience growing emerging companies and commercializing their technologies. He served as chief executive officer of NimbleGen Systems, Inc., where he oversaw the development, launch and growth of the company's microarray product line from 2003 through the company's acquisition by Roche in 2007. Prior to NimbleGen, Dr. Rose co-founded Genetic MicroSystems, a microarray instrumentation company that was sold to Affymetrix in 2000. He directed Perkin-Elmer's and Applied Biosystems' PCR businesses during their most dynamic growth phases in the 1990's. Dr. Rose received his B.A. from Cornell University and his Ph.D. from the Massachusetts Institute of Technology. "Tremendous progress has been made over the past decade in reducing the cost and increasing the throughput of DNA sequencing technologies, and enthusiasm for applying these tools in the clinic is rapidly growing," said Dr. Rose. "Going forward, we believe there will be greater focus on issues such as accuracy, information content, data burden, and scalability. Nabsys positional sequencing technology offers compelling advantages with respect to all of these metrics. We envision introducing a portfolio of products over time that will enable various forms of sequence analysis, leveraging the platform's unique ability to reveal information about sequence identity and location." Similar to PCR, positional sequencing requires a core set of proprietary products (instruments and consumables) which can be applied to power user-defined applications, with the breadth of uses limited only by the creativity of the scientific community. Nabsys is focused on developing tools for genome research, but the technology platform offers compelling advantages in applications ranging from molecular diagnostics to plant breeding. The Company is actively exploring partnerships to address these opportunities outside of the research market. Dr. Sklar, professor of Pathology and of Laboratory Medicine, director of Molecular Diagnostics Program, director of Molecular Genetics Pathology Fellowship and director of Molecular Tumor Profiling Laboratory at Yale University School of Medicine, has been a pioneer in the application of genome technologies to clinical molecular oncology. Dr. Sklar did his residency and post-doctoral training at Stanford, and held tenured positions at Stanford and Harvard before assuming his present position. He set up the first molecular diagnostics service in the country at Stanford in the early 1980's. His research interests are in the molecular biology of human disease, especially cancer, and the molecular biological methods that can be used for disease diagnosis. He is the author of numerous publications in peer-reviewed journals investigating the genetic processes that underlie oncogenesis. Dr. Sklar received his M.D. from Yale University School of Medicine and his Ph.D. from Yale University. "The medical community has been waiting for tools that can be broadly disseminated and provide accurate and rapid diagnostic information, particularly in cancer where issues such as sample heterogeneity and the size of genome regions targeted for analysis have posed significant challenges for existing technologies," said Dr. Sklar. "I'm particularly excited about the potential of the technology to analyze clinically important rearrangements of DNA and products of DNA recombination that are not easily assessed by current alternative high-throughput sequencing technologies." Nabsys is dedicated to enabling advances in life sciences and healthcare through strategic deployment of a novel positional sequencing platform with broad applicability for DNA analysis. The Nabsys platform uses solid-state nanodetectors to analyze single DNA molecules, revealing both location and identity of DNA sequences over long distances. The system is designed to set new standards for accuracy, speed and scalability, offering compelling advantages for the analysis of genome structural variation, genome mapping, and both targeted and whole genome sequencing. Nabsys was the first company to receive a "$1000 Genome" award from the National Human Genome Research Institute of the National Institutes of Health for an electronic approach to sequencing DNA. When a patient is ill with an unknown infection, time is of the essence. But detecting the root cause and determining the best treatment can often take a day or more. Now, start-up companies and laboratories are developing new approaches to determine rapidly which bacteria, virus, or fungus a patient is fighting, with applications that extend well beyond hospital walls. Initial efforts are focused on the health care setting where a doctor needs to know what drug to give, but potential uses include monitoring the safety of the food supply and the environment. In the fall, the company presented the results of an analysis of patient samples using the new technology, and its results matched those found using an older technology that takes several days to make the identification. Later this year, his company plans to begin a clinical trial of the new technology. Detection methods being pioneered vary. One depends on telltale flashes of light, one detects patterns generated when minuscule, magnetic particles bind to a pathogen, and another analyzes DNA to distinguish what microbe is the culprit. Pathogenica, a Cambridge start-up, is utilizing powerful genome sequencing technologies to identify the type of microbe in a sample. Hatice Altug, assistant professor of electrical and computer engineering at Boston University, designs chips with many tiny apertures in a gold film - holes that are so small each one is less than 1 percent of the width of a human hair. The holes transmit light whose color changes when a particular virus binds to a hole. Meanwhile, researchers at the Wyss Institute for Biologically Inspired Engineering at Harvard University have been creating technology capable of rapid pathogen identification that works by pulling pathogens from a sample, allowing detection and identification of even very small populations of bacteria, fungi, viruses, or parasites. This fall, the Wyss received a $12.3 million grant from the Defense Advanced Research Projects Agency to take the technology initially developed to identify pathogens to the next level. Instead of simply pulling pathogens out of the blood to figure out what type of an infection it is, researchers will work on developing a method to clear pathogens from the blood altogether. It is not clear which of the many potential approaches will work best, or in what settings each will be most useful. Researchers and companies need to be able to detect tiny amounts of microbes - down to just a few cells in a vial of blood. They also want to develop techniques that take no more than a few hours while keeping costs down. Altug, for example, is building a single chip capable of detecting many kinds of viruses. Her hope is that the technology could be deployed cheaply in places where it is needed, such as developing countries or in the field. She is also developing a way to analyze the chip using a cellphone camera, instead of expensive lab equipment. At Pathogenica, scientists are developing a way to use cutting-edge genome sequencing technology to identify a pathogen, its susceptibility to different drugs, and its virulence. The technique takes longer than some in the pipeline, but it can glean a broad array of information. “You’re looking at the DNA, you can test for multiple pathogens at once; you can have a test that looks for a dozen bacteria at once and that gives you more flexibility,’’ said Alex Rolfe, who is Pathogenica’s director of bioinformatics. “Instead of just detecting the bacteria, you can test for [drug] resistance at the same time,’’ he said, or detect the difference, say, between the type of E. coli bacteria that normally live in intestines and those that produce toxic molecules. T2 Biosystems takes advantage of a technology more commonly used in medical scans - the familiar MRI. The company has developed minuscule magnetic particles that selectively bind to specific pathogens, producing different patterns when exposed to a magnetic field, depending on whether they have latched on to a particular pathogen. Overall, each technology is still in development and has yet to displace older methods that may require more specialized equipment or days of waiting, but the need is clear.